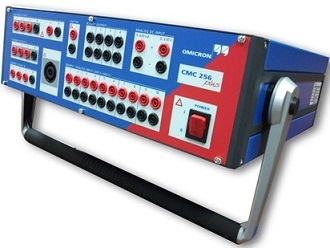 The CMC 256 plus is the universal solution for testing protection relays and calibrating electricity meters of up to class 0.2, transducers, power quality meters and synchro-phasor measurement devices (IEEE C37.118). It is the right choice for all applications requiring the highest versatility and precision. The unique accuracy over the complete amplitude range makes the CMC 256plus also ideal for site testing & acceptance testing or device calibration. Testing of all relay generations (electromechanical, static, numerical, IEC 61850 IEDs). The signal sources are the reference; no additional reference meters are required. 14 voltage / current generators in one device. Test Universe software with unrivaled manual and automatic testing functionality. OMICRON Protection Testing Library & test templates for the most important relays. Highest quality, safety, reliability and robustness. Sweep frequency response is a major advance in transformer condition analysis, allowing you to “see” inside transformer without costly de-tanking. SFRA is proven technique for making accurate and repeatable measurements. As compared to the “impulse” technique. SFRA is preferred for frequency domain measurement. It covers the full dynamic range and maintains the same energy level for each frequency providing accurate, consistent result. A high signal – to – noise ratio across the entire 20 Hz to 2 MHz frequency range ensure valid measurements. 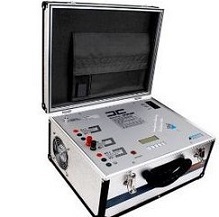 Eltel Automatic Capacitance & Tan Delta test set is designed to conduct Power Factor tests on electrical insulation. 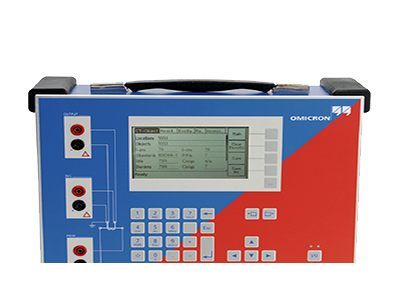 The test set is capable of automatically measuring the insulation Power Factor of multi-terminal equipment at voltages ranging from less than 1 KV up to 12 KV. 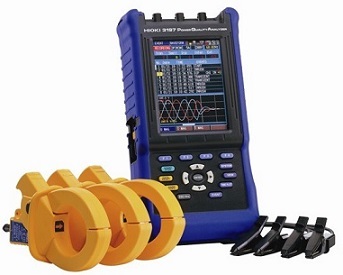 Being equipped with two measuring leads, the test sets can measure all the quantities associated with multi-terminal electrical power equipment. In addition to measuring the Capacitance and Power Factor of insulation, the test sets can measure the excitation current of transformers and other equipments. Tan Delta, also called Loss Angle or Dissipation Factor testing, is a diagnostic method of testing cables, bushings & windings of transformer, generators, and large motors to determine the quality of the insulation. This is done to try to predict the remaining life expectancy and in order to prioritize the corrective actions. It is also useful for determining what other tests may be worthwhile. 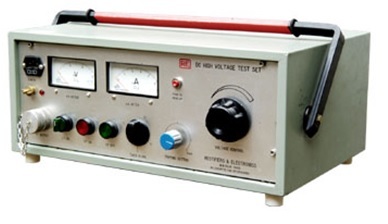 The Delta 4110 is used for testing of high-voltage electrical insulating systems at test voltage up to 12 KV. Test results can be used to evaluate the nature and quality of electrical insulating materials and manufacturing processes to reveal contamination, fractures, punctures, and other defects that accompany the aging of insulation. 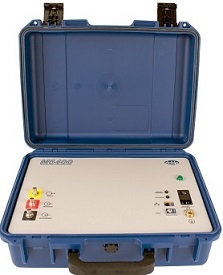 The test set comprises of a control unit, a high-voltage unit, cables and canvas bags. 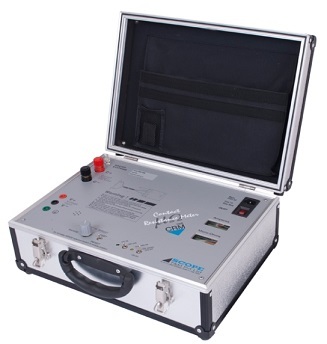 The test set measures insulation properties in high-voltage power equipment such as transformers, bushings, rotating machines, cables, circuit breakers, capacitors, surge (lightning) arresters etc. Easy to use with automatic and manual operation. Delta 4110 makes all Standard Ungrounded Specimen Tests (UST) and Grounded Specimen Test (GST) on high-voltage apparatus. Lightweight, rugged two-piece design, with unit weight of 14Kg and 22Kg. New built-in intelligent temperature correction eliminates the need for temperature correction tables (patent pending). New Automatic voltage dependence detection (patent pending). The electrical power industry user SF6to insulate high voltage lines, circuit breakers and other equipment used in electricity transmission and distribution. To ensure the integrity of SF6 gas as an insulator, the amount of water vapour in SF6 gas should be kept to a minimum. Moisture increases the formation of unwanted secondary decomposition products which can lead to arcing and equipment failure. Therefore, dew point measurement is an important part of the maintenance of any equipment containing SF6. The Dm 70 Hand-Held Dew point meter measurement dew point accurately in a wide measurement range. Thermal Imagers capture image of infrared energy or temperature. 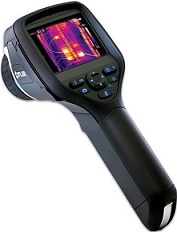 Thermal Imaging, detects heat patterns or temperature changes in objects. These changes allow the user to discover problems prior to costly downtime. Quick performance check of CB by measuring C, O, C-O, O-C & O-C-O timings with resolution of micro-seconds and selectable delay between multiple operations. Indicates pole to pole and break to break operation times for CBs having up to 4 main & 4 PIR contacts per pole, all 3 poles simultaneously. Simultaneity of operation of breaks and possibility of pole discrepancy can be assessed. Estimation of severity of condition of arcing tip through measurement of number & duration of bounces / chattering. Dynamic Contact Resistance Measurement for condition monitoring of the contacts without opening the interrupter. 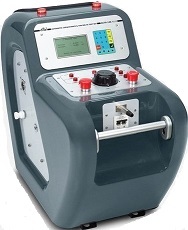 Single instrument can test all types of CBs – LV, HV & EHV. Comparison possible with Manufacturer’s test result by measuring C, O & C-O timings directly in milli-seconds. Saves down time, indicates non-simultaneity of operation as it measures the timing of 3 poles simultaneously. Assessment of break to break timing variation – Measurement of individual break timings. Easy to use – self guided operation through interactive menu and keyboard. CB operated through instrument facilitating accurate measurement. Designed to work reliably under live EHV switchyard conditions ensuring operator’s safety and repeatability of results. Smart Self-diagnostics and calibration date tracking facility. Designed to measure micro-ohmic contact resistances of various Test Objects – Circuit Breakers, Isolators, Bus-bar joints, Welded joints etc. Quick & simple tool to assess heat dissipation inside CB interrupter without opening it. Measures the mili-volt drop in presence of high induced charge environment of kilo-volts. Designed to work reliably under live EHV switchyard conditions ensuring operatoras safety and repeatability of results. 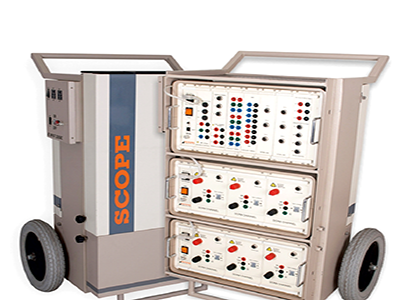 Designed to measure DC winding resistance of highly inductive test objects -Transformers, Generators, Motors etc. for field testing as well as for factory testing. Winding Resistance Meter designed for large transformers up to 315MVA. Quick stabilization of reading even on large test objects by deploying high open circuit voltage. Available for continuous testing – powerful, truly continuous DC source with excellent heat management through forced cooling. Injects test current of 10A DC for measuring winding resistance as high as 200 Ohm. Saves down time, measurement of resistance of 2 windings simultaneously. 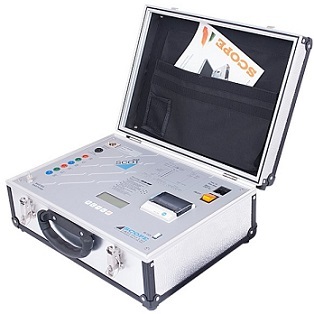 POWER QUALITY ANALYZER 3197 is a compact, easy to operate, and affordable power quality measurement instrument. Power measurement functions have been enhanced and display screen capabilities have been added for time series graphs of voltage, current and power, as well as energy consumption and demand graph displays. The CT Analser automatically determines all relevant current transformer values and compares the results with the selected standard. 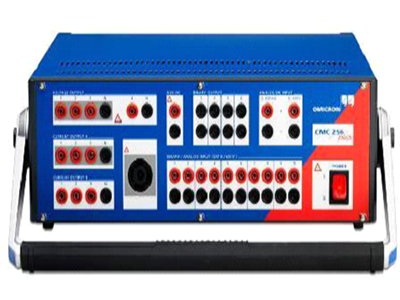 The device evaluates the current transformer as per the IEC or IEEE standard within seconds with the push of a button. 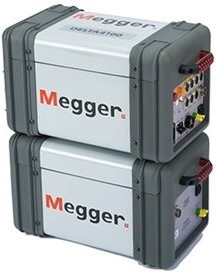 It facilitates fast and economical on site testing and calibration of metering and protection current transformers. 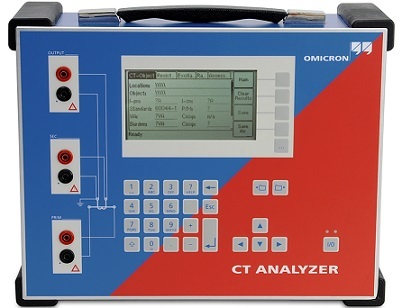 Manufacturers of current transformers, high voltage transformers and switchgear also use the CT Analyser for tests during development and production. Digital meters for easy readability. Multiplier circuit for better life.